Whether it’s the incredible history, iconic monuments or the delectable food and drink, Rome combines all the essentials of the perfect travel break. But where do you begin when planning a trip to Rome? This is where Make a Bucket List can help with our Rome travel tips. 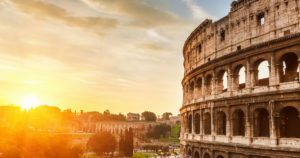 Our Rome travel tips are designed to help you plan the perfect experience, so to witness all of the beauty Rome has to offer we’d ideally recommend three days. The perfect way to begin planning, is by making a list of all the places you want to see. This will determine whether you need to book a four night stay, or if you can do it in three nights; it’s especially important if you’re only in Rome for two days and wanting to cram in as much as possible. However long your holiday is, there is always next time if you don’t get to see everything this time. Just make sure before you leave to toss a coin into the Trevi Fountain, as legend says that this guarantee’s you another visit. Once you’ve decided that you’re heading to Rome, booking your trip is the next stage. We would recommend April to May time or Late September to October time, as in the summer months the heat and the crowds make seeing the sites unbearable. Next is deciding whether to use a travel agent who offer city breaks like Thomas Cook, or plan it all yourself using Skyscanner to search for the best flights and Trivago for your hotels. Either option has its advantages and disadvantages, but we found doing it yourself means that you can find the ideal options for you and your party. At this point in the planning process get a map of Rome to hand, so you can work out where you are looking to stay in relation to sites you want to visit. You may need to add on getting from the airport to your hotel! Most people will opt for the bus or the trains, which are very reasonable from experience. Because this option is so popular, you’ll have to accept there will be a queue for it. If you’d prefer not to wait around and get on with your trip, then taxi’s are normally all around outside. If you fly into Ciampino Airport a taxi to centre of Rome should be around €30, or from Fiumicino-Leonardo da Vinci to the centre it should be €48 as there is a set rate. Had we known this before purchasing the bus tickets in advance, we would have taken this option without a second thought. 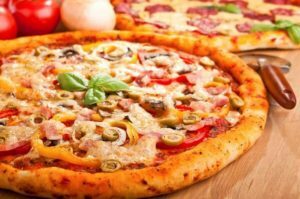 It’s fine to wear casual clothes such as t-shirts, jeans, trainers and sandals to many restaurants in Rome. Remember that in Italy, modesty is key. You won’t find Romans dining in shorts and tank tops, so keep this in mind for going out to eat, and especially for visiting the sites. Religious buildings will require that you are covered from Shoulders to knees. One thing that is important is comfy shoes, however much you make use of the transport options you will find yourself doing a lot of walking! It just can’t be helped with glorious sites round every corner, you simply just keep going. While near enough everyone in this amazing city speaks English, it’s always good know your Per favour e Grazie (please and thank you) as manners never go a miss. But if you want to pick up a few more words and phrases, try out the app Learn Italian by Bravolol – Language Learning. This is litteraly the most mouthwatering section of our Rome Travel Guide. Dining out, where do we begin, in this city you’ll never have to go far for good food. There is always Pizza, Pasta and Gelato. You’ll often find main dishes of Veal, Chicken and a few seafood dishes as well. The best option is to choose what you’d like to look at while you eat. A place we would definitely recommend is 0,75 – Zerosettantacinque which is on Via Dei Cerchi 65. Great food, drinks, atmosphere and wonderful staff, what more can you want? Of all the Rome travel tips we can offer, our final suggestion is also a great money saver. 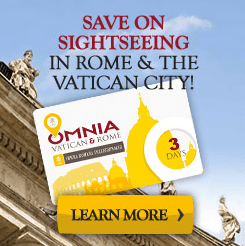 The Omnia pass, also known as the Rome and Vatican pass is perfect for those traveling Rome on a budget. This gives you access into the Vatican and Sistine chapel, plus two other locations including Coliseum, Roman Forum and Castel Sant’ Angelo. 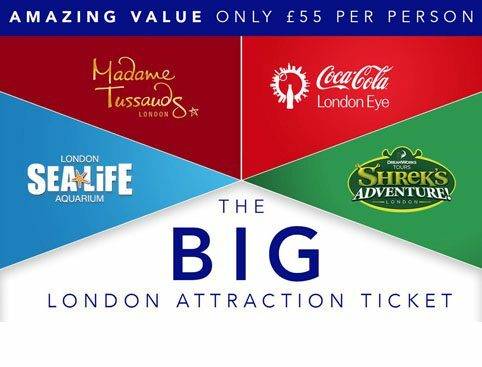 There are a further 30 attractions to choose from where you can get discounted entry. Included with the OMNIA pass is a detailed guidebook and a map of the city. This provides visitors with an opportunity to choose their attractions and plot in their locations; which can only simplify the experience when you’re there. If this isn’t exciting enough, there is also a Hop-on-hop-off bus tour; which is handy for getting a feel of the city. This is valid for 3 days, plus you get a free travel card for unlimited access to Rome’s public transport including the metro. Having used the metro we can tell you that it is incredibly easy, with stops dotted all over the city. The Omnia Rome pass may seem expensive at first glance, but it is well worth it. Not only does it get you entry into plenty of top attractions, it also provides Fast Track entry into top attractions. This includes St Peter’s Basilica, Sistine Chapel and Coliseum, which means less waiting time and more exploring time. We would strongly recommend that you explore some of these sites at night time and see them all beautifully lit up, because they truly are spectacular to witness. You can either do this on a night tour, or take advantage of the metro’s and make your own way round them. If you’ve yet to experience this breath-taking city but you’re planning on booking a trip, then we hope these Rome travel tips help. 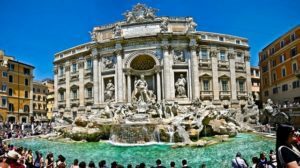 If you have enjoyed our extensive Rome travel guide, then why not take a look at our travel guide section for more inspiration on places to visit. Until next time addio amico mio (goodbye my friends) from Make a Bucket List!